(Newser) – The Los Angeles district attorney is urging Gov. Jerry Brown to reject parole for a follower of mass murderer Charles Manson, the AP reports. 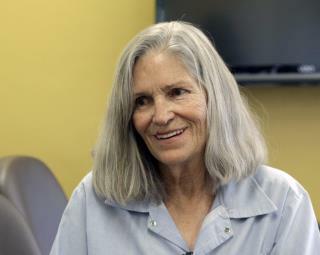 District Attorney Jackie Lacey released a letter Tuesday she sent to Brown saying that Leslie Van Houten should stay in prison for her role in the brutal 1969 killings. Van Houten is serving life for the first-degree murders of wealthy grocer Leno LaBianca and his wife, Rosemary. The couple were fatally stabbed a day after other "Manson family" members killed pregnant actress Sharon Tate and four others. "[Van Houten] poses an unreasonable risk to public safety and is unsuitable for parole at this time," Lacey's letter notes, adding that she believes Van Houten is "manipulative," has a "disturbingly distorted view of Charles Manson," and "clearly lacks insight, genuine remorse, and an understanding of the magnitude of her crimes." she did the crime, now she can do the time, all of it, life. Since capital punishment and life in prison are the only ways to restore victims to life, let's keep torturing Van Houten until that comes about. Aren't you all tired of revenge? Hasn't there been enough blood spilled? She is no danger to anyone, anymore She was brainwashed by a highly charismatic cult leader. Let her go and make room for someone who really should be in prison.